Masked persons may or may not be members of the official police force here in Mexico. Numerous crimes are committed daily by those dressed much like those pictured here. Last weekend, my husband and one of his friends A, went to Cerano for the weekly tianguis (flea market). On the way home, they were stopped by los cappuchis (masked ‘policemen’) who examined their papers, searched the vehicle and ended up demanding a mordida (bribe) which was all the cash the two had on them. This is just another case in point in a long line of problems with the police or supposed police, it’s hard to say which is which these days. So why is it that those paid to serve and defend are in the midst of this sort of activity? Perhaps because we live less than an hour from the Michoacan-Guanajuato border. The ‘police’ arrive in town, accept these not-so voluntary contributions, make off with parked vehicles, even as far as targeting wealthy-looking persons for kidnapping and head back to Michoacan, outside the Guanajuato jurisdiction. I can’t even begin to list all the times my husband has been charged a mordida, which translates a “little bite” as in little bite of the apple. On the moto, in the truck, and even while on horseback, police have stopped, searched, and relieved him of cash or other easily transportable items like tools or cds. We once made the mistake of reporting a particularly big mordida to the chief of state police several years ago. We filled out the report and had it sent to Guanajuato. The police involved were suspended 2 weeks, but had their revenge. My husband was out and about and had a flat tire one day. While waiting for the tow truck, the same police that we had reported stopped and arrested him on a pretext of obstructing traffic or something or other. Two years later, he gets a summons and we make the trip to Guanajuato where his license was suspended for 180 days. In the scheme of things doesn’t seem like much, however there were the expenses of the trip there and back and the nuisance of 6 months without a license, then having to pay to have it reissued. So it seems there isn’t anything else to do but pay up. Things can be much worse than a mordida. Kidnapping happens on a regular basis. Typically the kidnapped victim is an adult male whose family has money. I suppose women are not kidnapped because there is some doubt whether a ransom would be paid once her reputation is compromised by being in unchaperoned, unknown parts with unknown (probably male) kidnappers. Male victims on the other hand, have a plethora of female relatives that will pull out all stops and get the money for the ransom together. My husband was kidnapped our first year in Mexico. We had gone to Cerano to visit his relatives (seems a dangerous corridor to drive) and were stopped by the ‘military’ on the way back. They searched our vehicle and asked some questions and saw that we had cash on hand. My husband had some 2000 pesos in his wallet to buy a door for the house. From me they gleaned that we had some land (although its only 2 measly lots) and our vehicle was luxurious for these parts as we were still driving our 2000 GMC Sierra. After all that, we went on our merry way back to La Yacata. 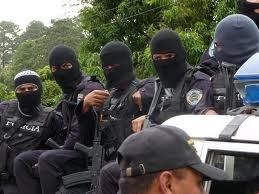 Someone on the ‘military’ team alerted the kidnappers that we were potential victims and they followed us to La Yacata. Otherwise, remote as it is, no one would think to look for us there. Additionally the address that was on my husband’s license and registration was that of his brother’s house since La Yacata had no street names yet. Unsuspecting, my son and I got out at the house and my husband took the truck up the hill to cut some inquierta (a vine plant that grows in trees and has orange flowers and black berries) for the goats to eat. About 30 minutes later, his parents and I were outside talking and saw the truck attempting to come down a road that was not finished. We wondered aloud what on earth my husband was doing since he knew that road was closed and went back to the conversation. A little while later, a green van came down the road, again with little comment from us. But my husband didn’t come back. I sat at the door all night and waited for him. His brother thought he might have gone drinking and stayed in town, but I knew him. He would not leave us alone all night. Around 5 a.m. he pulled up and practically fell out of the truck. He had awoken in Uriangato, a neighboring town, dazed and disoriented. He doesn’t remember much, but says that when he had jumped down from the tree, there were about 5 or 6 young guys. There must have been one behind him with something on a cloth to make him pass out, because he said the next thing he knew, he was lying on a bed in an unfamiliar room. Gathering his wits, he broke the window and jumped out. Someone entered when he was jumping and tried to restrain him, but he shook him off. Then he spotted the truck parked down the road, took out the spare key which was hidden under the front bumper, opened the door and revved off, relieved of his wallet and, of course ,the money, and various little things that had been in the truck. It took him some time to orient himself and find the road back to Moroleón, but find it he did. For a time he was shaken up, but then he was angry and wanted to go and try to find the guys. That phase passed too. We were fortunate. Several other persons of my acquaintance have been kidnapped. Its quite an ordeal, no water, no bathroom, physical and emotional abuse, calls and messages to family members to pay up. The physically and emotional trauma is intense and causes life-long problems, both in terms of health and psychological issues. And emotionally, if it happens in your own home, how does one recover the sense of security lost? Not to mention the monetary aspect. The current going rate is $500,000 U.S. dollars, not exactly chump change. For our part, we sold our nice truck and bought a 1980 model with a few bangs in it already. Looking as poor as we are, perhaps trying to blend in, has relieved some of our anxiety. However, the random stops and searches, valid pretext or not, the mordidas, kidnappings, robberies have not been halted and makes a daily trek to the store a voyage frought with unexpected dangers.